So I was reading Jeremiah the other day and chapter 32 stopped me. Mainly because of it’s title: Jeremiah Buys a Field. Smack dab in the middle of all his prophecies and Israel’s destruction by Babylon, Jeremiah stops to buy a field. And not just any field. One that’s in the middle of the rubble. That’s like buying a block of London right in the middle of the bombing during WWII. Crazy. Thing is, that response came after he obeyed. 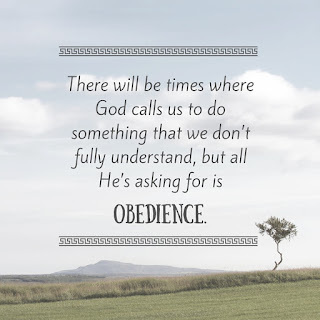 Here's the thing, there will be times where God calls us to do something that we don’t fully understand, but all He’s asking for is obedience. That takes a huge amount of faith. It also means we better know His voice. 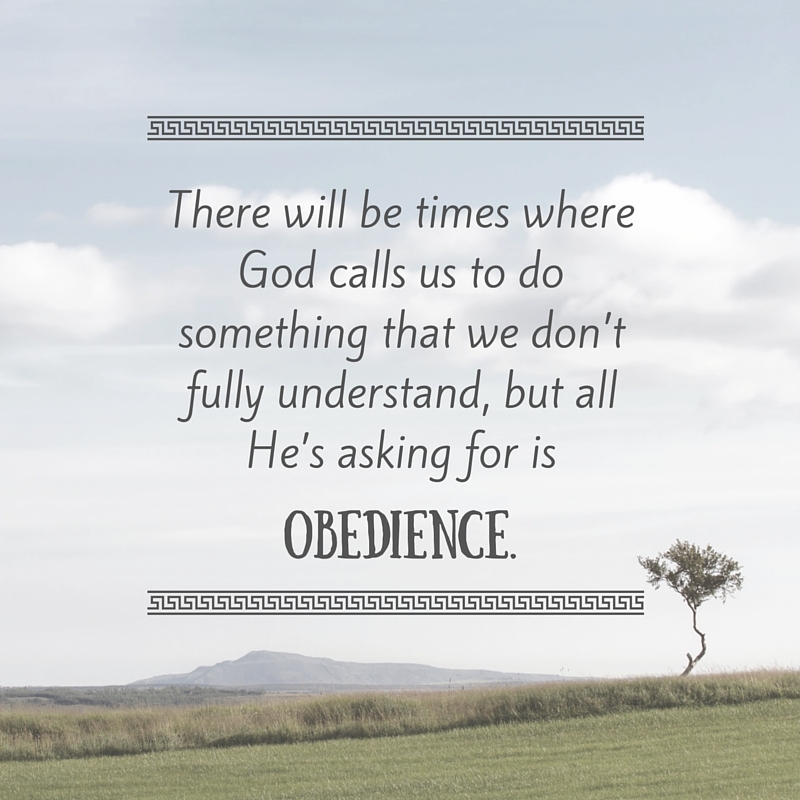 Jeremiah shelved his questions until after he responded because he knew God’s voice. And that’s what I want—to know His voice so intimately that I don’t even have to ask. I can jump, no matter how crazy it sounds to me. I’m not always going to have the full picture, but I’m not supposed to because that’s His job. All I need to do is be willing. And He demonstrates this promise through Jeremiah purchasing the field. Good thing Jeremiah listened first. It allowed God to bring hope in the middle of what appeared a hopeless situation. Are we willing to do the same? Even if we don't understand the "why" in the moment, will we still listen AND follow? Praying we all have Jeremiah's boldness!